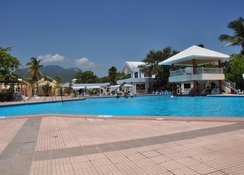 Puerto Plata Village Caribbean Resort and Beach Club is an all-inclusive resort located in the Playa Dorada Complex in Puerto Plata, just eight minutes from a fabulous sunny beach. The resort is surrounded with several bars, restaurants and clubs. The comfortable and contemporarily furnished guestrooms include all amenities to offer a comfortable stay. There is a lovely 18-hole golf course that ranks 53 in the world and guests may play tennis at any of the six sprawling courts. There are facilities for kayaking, windsurfing and diving in the Puerto Plata Village. 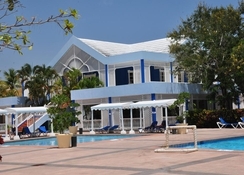 The hotel offers free Wi-Fi, activity programs around the beach and pool, and lively entertainment during evenings. The hotel is just 15km from the La Union Airport. Playa Dorada is surrounded by the world class Puerto Plata Village Golf Course, ranked 53 in the world; an 18-hole course designed by Robert Trent Jones. Playa Dorada is a complete vacation destination for newlyweds, families, golfers and for anyone looking for fun and relaxation in a safe and luxurious environment. The resort is located just a few minutes from the bustling nightlife scene of the island as well as international shops, delicious restaurants & bars and recreational activities. 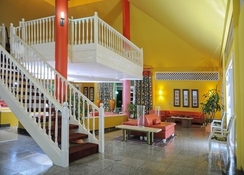 The Puerto Plata Village Resort is barely 5km from Puerto Plata, with the airport only 15km away. 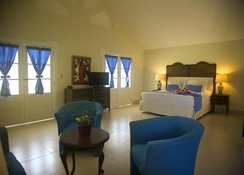 The Puerto Plata Village Golf Course is only a short walk away. 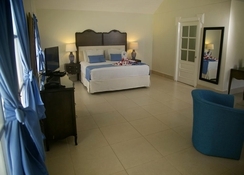 The Puerto Plata Village has 385 well-appointed spacious and comfortable guestrooms that come in categories like Standard Rooms, Superior Rooms and Master Suites. All the guestrooms are furnished with two double beds, air conditioning, satellite TV, en-suite bathroom with bathtub; superior rooms come with a private balcony, mini fridge and hair dryer. Master Suites are large in comparison with the standard and superior rooms, and feature a chic living space as well as a private terrace offering views of the sun, sand and sea. Additionally, they have a closet and a coffee machine. Puerto Plata Village Caribbean Resort and Beach Club indulges the palate of its guests with delicious offerings and for this the meals are served at different locations to sample the varied menu. 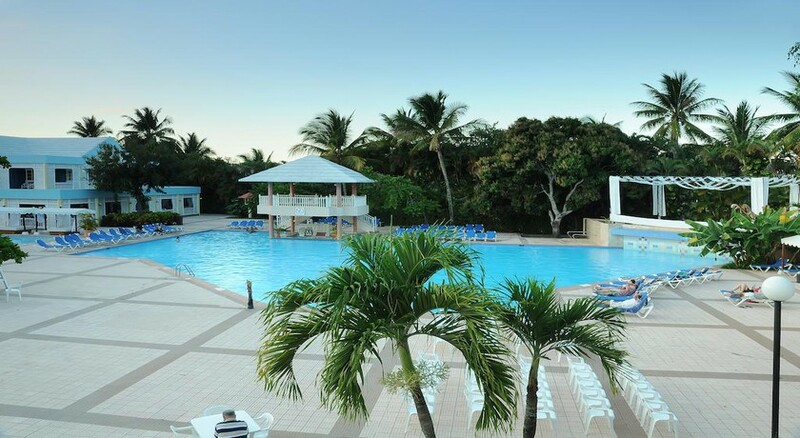 The all-inclusive package includes a lavish buffet breakfast at the Altamira restaurant or the Arenazo Beach Bar. Similarly, for dinner there are four venues: Altamira Restaurant, Rigoletto Italian Restaurant and La Piñata Mexican Restaurant. The hotel follows a dress code of casual elegance and shorts and tank tops are a no-no. The all-inclusive also includes drinks and snacks. There’s plenty to keep guests occupied at the Puerto Plata Village Caribbean Resort and Beach Club. There are scheduled activities for adults, couples and families around the pool or on the beach. The Kid’s Club is the hub of buzzing activity for the young ones. There is a pool only for kids. The hotel offers recreational activities like kayaking, sailing, biking, diving and boogie boarding. The evenings get sizzling with free admission to and unlimited drinks at the Ambrosia Disco.